The NHL regular season has ended, and it’s time for Professor Pedro to pull out the red pen and start looking at what went wrong in some teams’ seasons, what worked, and to award a final grade based on expectations. Anaheim Ducks – B+. The Anaheim Ducks won the Pacific Division, to the surprise of absolutely no one. Taking advantage of being the only team in California that was on this season and despite a resurgent Canadian component of the division. Don’t get me wrong, the Ducks are a good team, but their run-and-gun is a risky venture. In terms of entertainment value, the Ducks get top marks, but with a game plan that involves very little defence and outscoring the opposition, they do not show a complete effort. Bonus credit can be earned during the playoffs if they don’t sputter in the first or second round. Arizona Coyotes – D. New name, new season, new arena deal. By just barely missing the playoffs last season, this group showed a lot of promise, but instead of delivering on that promise, they failed in magnificent fashion. Shipping out valuable assets Keith Yandle and Zbynek Michalek at the trade deadline, this team knew that they weren’t going to amount to much this season; in that sense, they get extra marks in self-awareness. They can take solace in having a pretty decent shot of drafting Connor McDavid or Jack Eichel. Boston Bruins – C-. Was this the same Boston Bruins team that won the President’s Trophy last season? What happened? In recent memory, the Bruins have been a force to be reckoned with, and a team that is all but expected to make the playoffs. The expectation was still there this season, but they came up just short. The trouble is evident with an aging and slowing Zdeno Chara serving as a metaphor for the entire team. At least Tuukka Rask is still Tuukka Rask (despite slowing down a bit this season), and there are promising young assets such as Dougie Hamilton and David Pastrnak; if this was a group project, Peter Chiarelli brought the group’s mark down by trading away obvious key piece Johnny Boychuk for very little in return. Buffalo Sabres – A-. Some of you might be asking, what kind of Buffalo Sabres money is the Professor getting? None. The Buffalo Sabres knew that they were terrible, and their goal from the very beginning of the season was to land “McEichel.” They set out their goal of being the worst team in the league, and whether intentional or not, they accomplished their goal. There was some good to come out of this season, such as a memorable 6-2 win over the Toronto Maple Leafs, a voting campaign that earned Zemgus Girgensons an All-Star spot, and the performance of pre-trade Michal Neuvirth; there was also some bad, such as a completely winless January (0-12-0); and some straight up ugly, such as the obvious “we’re tanking” trade of Michal Neuvirth for Chad Johnson. Their “high” grade is accomplished for completely meeting expectations, regardless of how dreary they were. EDIT: Bonus marks to the Sabres for using Ted Nolan as a scapegoat for their blatant tanking. Props, Buffalo! Calgary Flames – A+. Show of hands, who actually expected the Calgary Flames to make the playoffs? There were many suggestions that a hot start to the season was just an early streak; that the performance by this group was unsustainable. While the struggle for a playoff spot was very much real, the Flames pulled themselves up by their own cowboy boot straps and lassoed themselves a playoff spot, defying all expectations, proving all critics wrong, and silencing nay-sayers. As far as finishing touches, the Flames had one of the best: they clinched their playoff spot by eliminating defending champions Los Angeles Kings. Whether they make some noise in the playoffs or not is irrelevant, they have proven that they can get there, exceeding expectations by a mile. 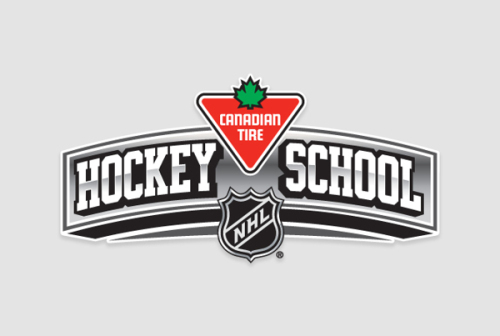 Carolina Hurricanes – D+. It must be difficult being in a division that boasts the President’s Trophy-winning New York Rangers, a John Tavares led New York Islanders, and Sidney Crosby and company. The fact that the Carolina Hurricanes weren’t “Buffalo Sabres bad” is a reason to celebrate; however, by not being absolutely terrible, the Hurricanes didn’t tank themselves into a better draft position. In a year highlighted by races both at the top of the standings and a race for the bottom spot, the Hurricanes slipped under the radar, not making that big an impact in either race. Because of this, they have not earned an overly good or a failing grade. Chicago Blackhawks – B+. Sure, losing Patrick Kane for a stretch slowed them down, but teams built like the Chicago Blackhawks are supposed to withstand a major hit without missing a beat. Being classified as one of the elite teams in the league, the Blackhawks have an expectation to take their division, especially with a core group that is comprised of Jonathan Toews, Patrick Kane, Marian Hossa, Duncan Keith and Brent Seabrook, but Seabrook has looked human, and their defence isn’t as strong as it once was. 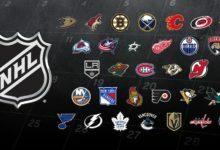 Furthermore, improvements on behalf of the Nashville Predators and St. Louis Blues have officially made the Central Division the hardest division in the NHL (need proof? How many Central Division teams made the playoffs?). Colorado Avalanche – D+. Sophomore Slumps apparently do not stretch only to players. In Patrick Roy’s sophomore coaching season, the Colorado Avalanche missed the playoffs. It’s not to say that they have been as bad as other teams missing the playoffs (see: Buffalo Sabres, Arizona Coyotes, Edmonton Oilers), but they were unfortunately not as good as they were last season. In part because the division is one of the most competitive in the league, but also in part because the core couldn’t find ways to pull off wins when it mattered most. This is particularly evident when you notice all of the overtime and shootout losses, as well as the one-goal losses. Whether on the win or loss column, many of the Avalanche’s games were decided by 1 or 2 goals; with a young and talented core, that should not be the case. Columbus Blue Jackets – B+. So, they missed the playoffs the season after giving the Pittsburgh Penguins a serious scare in the playoffs. If the Blue Jackets hadn’t been decimated by injuries early on in the season, they could be poised to give the very same scare to the New York Rangers, or even be involved in a scrappy playoff against either the Washington Capitals or the New York Islanders. Nick Foligno improved on last season’s performance by a mile, scoring 73 points (he had 39 last season), but that’s not what I like best about the Columbus Blue Jackets this season: when the season was written off for them, they refused to tank. This team showed heart, determination, and if it was up to me, they would be getting a much better draft position that their standings indicate. Dallas Stars – C+. Quick, when was the last time that a team boasting the league’s top scorer missed the playoffs in a full season? (2012-13 Tampa Bay Lightning doesn’t count on account of a half-season). The answer: 2001-02 Calgary Flames. There are lots of positives to draw from the Dallas Stars’ campaign, mainly Jamie Benn’s scoring title, and Tyler Seguin’s scoring prowess; but missing the playoffs with such firepower is definitely coming up well short of expectations. The acquisition of Jason Spezza was supposed to bring the Dallas Stars back into the playoffs, but the lack of stability between the pipes cost the Stars dearly. Expect them to retool and try to find a way to compete in the tough Central Division next season. 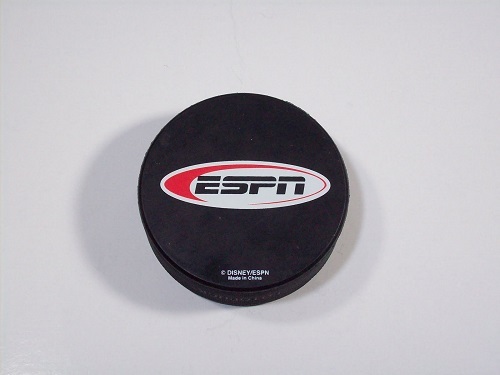 Detroit Red Wings – B-. The Detroit Red Wings keep their playoff streak alive at 24, tying the 1970-1994 Montreal Canadiens, but there are signs of wear and tear. With goalie Jimmy Howard on a short leash, as well as declining production from Henrik Zetterberg and Pavel Datsyuk, the ageless Red Wings are starting to show their age. In addition to the late season struggles from the Red Wings, there is rampant speculation that coach Mike Babcock could be leaving town. The Red Wings are in tough against a younger, faster, flashier Tampa Bay Lightning in the playoffs, and we could be experiencing the tail end of the greatest dynasty of our generation. Edmonton Oilers – F. Make that nine consecutive seasons without even coming close to the playoffs. Believe it or not, the Edmonton Oilers competed for the Stanley Cup in 2006, and have failed to make the playoffs ever since. Individually, this team has so much potential, boasting junior super stars Jordan Eberle, Ryan Nugent-Hopkins, Taylor Hall, Justin Schultz, and company. Remember 2012-13 when this group was tearing it up in the AHL playing together? The hype has not translated well, and another high draft pick for yet another highly-touted prospect may not resolve the issue. The Oilers need to do something to avoid being a perennial draft lottery shoe-in, but there are so many problems that it’s hard to know where to start. Florida Panthers – B-. Mark my words; the Florida Panthers are going to make the playoffs next year. The Panthers were a scrappy team, no longer the minnows of old. With a young group consisting of Nick Bjugstad, Jonathan Huberdeau, Aaron Ekblad, and Aleksander Barkov, coupled with the experience of Jaromir Jagr and Roberto Luongo, this team is reminiscent of the Stanley Cup winning Chicago Blackhawks. I won’t go as far as saying that they will win the cup within three or four years, but if they keep improving the way they have been, it is not outside the realm of possibility. It would have been a great morale boost to make the playoffs this season, but with an aging Jagr locked in for next year, expect some health issues in next year’s playoff push. Until then, the players have a consolation prize in the fact that Florida is very lovely this time of year. Los Angeles Kings – C-. Every class has one like these: the kid that goofs off and doesn’t take class seriously, but aces every test and exam. We all know at least one, and their goofing off eventually catches up to them, when they bombastically fail the one course they need to graduate. These are the Los Angeles Kings; the first defending Stanley Cup Champions to miss the playoffs since the 2006-07 Carolina Hurricanes. So, what went wrong for the Kings? Aside from losing a key leader in Willie Mitchell, there were Slava Voynov’s legal issues, Mike Richards’ on-ice struggles, and Jonathan Quick’s normal regular season (slow start, picking up the pace as the season progressed with rough patches in between); the Kings were unable to compensate this time around, and find themselves on the outside. Perhaps three consecutive lengthy seasons have finally taken their toll; regardless, there will be a new Stanley Cup champion this season. Minnesota Wild – B+. In Canada, the Minnesota Wild are not going to get the coverage that they so rightfully deserve, on account of another more local and slightly better “phoenix rising from the ashes” metaphor. For the third consecutive season, there will be playoffs in Minnesota, but this season’s edition was brought to Wild fans by none other than supposedly “washed up” goalie Devan Dubnyk. With Dubnyk as the stabilizing force between the pipes, players the likes of Thomas Vanek and Zach Parise are free to do their thing. The reason the Wild do not have a higher grade is because of their early season struggles; although their reverse Toronto Maple Leafs is absolutely admirable; can you believe GM Chuck Fletcher only got Dubnyk for a third-rounder? 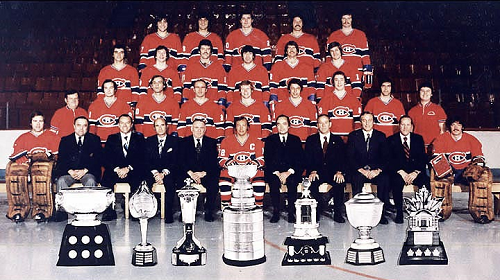 Montreal Canadiens – B+. The Canadiens had a dominant season on the back of Carey Price’s Jennings Trophy and likely Vezina Trophy winning season. As dominant as their season was, their offence suddenly shut off in March, which could have cost the Habs the Atlantic Division. These struggles are normal, though, and the Canadiens emerged victorious in their division by a mere two points, suggesting a much closer race than the early season let on. Add to that P.K. Subban’s growing reputation for diving, and you have a team that is successful, but isn’t quite pretty while doing so. As with the Anaheim Ducks, there is extra credit to be earned in the playoffs if they don’t slip up in the first round against an impressive Ottawa Senators. Nashville Predators – A. The time is now for Music City; after a two-year absence from the playoffs, second ever franchise head coach Peter Laviolette can definitely steer this team into glory. Despite the fact that they face their playoff nemesis in the Chicago Blackhawks, this year looks like it can definitely be Nashville’s. As per usual, there is not a runaway leader in regards to points, but having experienced forward Mike Ribeiro and rookie Filip Forsberg put up more than fifty points definitely helps in the “scoring by committee” strategy that Nashville has. Pekka Rinne is having a stellar season, Shea Weber is still an elite defenceman, and the Predators get plenty of secondary scoring, the stars may just align to a Stanley Cup this season; their only major hurdle is overcoming their current 6-game winless slide. 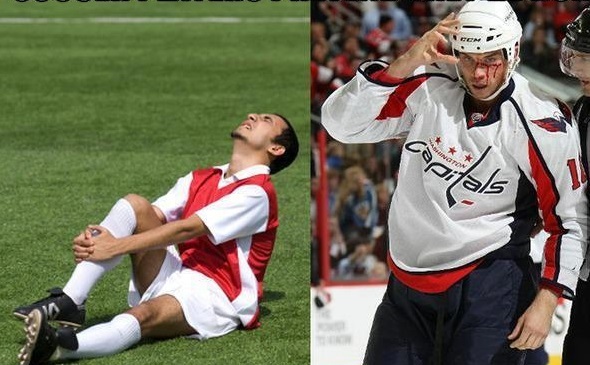 New Jersey Devils – C. The only thing keeping Scott Gomez from scoring was not being in New Jersey. This team was blessed during the Martin Brodeur era, but now that he’s retired, the downward swing that traditionally follows the retirement of an elite player is in full swing. Despite Cory Schneider’s pretty good season (0.925 save percentage, 2.26 GAA), the point production on behalf of the aging forward lines didn’t manage to crack 45 points (Adam Henrique was the closest, with a team-leading 43). A mid-season coaching change saw a bit of an improvement, but other than that, a team that was expected to be middle-to-bottom of the pack was just that. New York Islanders – A-. An aging arena, a struggling franchise, lack of leadership. All of those concerns are non-existent for the New York Islanders; John Tavares asserted his position as an elite player, and went from one of the league’s most underrated captains to one of the finest specimens of leading by example. GM Garth Snow doubled-down on the Islanders’ chances by acquiring depth in the form of Tyler Kennedy and Dustin Jeffrey, and solidifying the Isles’ goalie tandem by fleecing Michal Neuvirth off the Buffalo Sabres. In addition, the arrival of Johnny Boychuk has been invaluable, as the Islanders look to close the book on the Nassau Coliseum with style: a Stanley Cup banner. New York Rangers – A+. As far as regular seasons go, it doesn’t get any better than winning the Presidents’ Trophy. Keith Yandle took a little while to adjust after being acquired from Arizona at the trade deadline, but now that he’s firing on all cylinders, he blends in perfectly with the rest of the team. The Rangers even managed to stay dominant through an injury to Henrik Lundqvist, with Cam Talbot capably handling the job between the pipes. Rick Nash is finally playing to his full potential and leading the team in points, Martin St. Louis is showing no signs of aging, and the whole team is playing a well-rounded game. It’s hard to pick against the Rangers in the playoffs, especially when coming up against a sputtering Pittsburgh Penguins who are notorious for playoff collapses. Ottawa Senators – A. 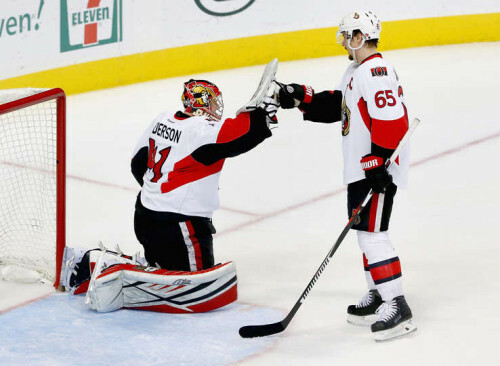 As of February of this year, the odds of the Ottawa Senators making the playoffs had been pegged at roughly five per cent. Ignoring that small fact allowed the Ottawa Senators to bring unproven goalie Andrew “the Hamburglar” Hammond to salvage the season and push the Sens into the playoffs. Mark Stone and Kyle Turris played for every cent of their salaries, and suddenly Craig Anderson is an expendable asset. The Senators are in a very much enviable position, going 20-3-3 since Hammond’s debut. Montreal might be cloudy with a chance of cheeseburgers through the first round of the playoffs. Philadelphia Flyers – D. In theory, bringing in R.J. Umberger was a good idea; unfortunately, giving up fan-favorite Scott Hartnell could have deflated the the Philadelphia Flyers beyond a point of recovery. After pushing Stanley Cup Finalists New York Rangers to the brink last season, the Flyers were looking to build off that success for a longer playoff run; however, Vincent Lecavalier is a ghost of the player he used to be, and R. J. Umberger was ineffective. Coupled with the early season struggles from captain Claude Giroux and some lackluster goaltending from Ray Emery in backup, and the Flyers find themselves golfing. On a positive note, Jakub Voracek and Claude Giroux can still put up points (81 and 73, respectively), and they swept the season series against cross-state rivals Pittsburgh Penguins, so they had that going. Pittsburgh Penguins – C+. How can a team boasting Sidney Crosby and Evgeni Malkin struggle to make the playoffs? That’s the question plaguing every Penguins fan’s mind, regardless of whether they’re happy about making the playoffs or not. The fact of the matter is that the Penguins are vulnerable. They were once poised to take the Metropolitan division for the second consecutive season, but injuries and struggles let that slip away. A few seasons ago, when the Penguins were decimated by injuries, they managed just fine with essentially an AHL team; but now this team is older, a bit slower, and evidently less capable defensively. Their atrocious March and April could have been deadly, especially the four-game losing streak in which the Penguins scored only two goals. The playoffs are a brand new season, and they could give the Rangers a surprise if they are underestimated. San Jose Sharks – D-. For the first time since 2002-03, the San Jose Sharks are not playoff bound. The perennial cup contender that couldn’t find a way to win ended its ten-season playoff streak in spectacular fashion. This season saw a Sharks team that was uncharacteristically mediocre, leading to Martin Havlat being bought out, and GM Doug Wilson engage in a war of words with Joe Thornton. On account of all of these things, there is rampant speculation that the Jumbo Joe era in San Jose may be coming to an end. Defensively, the Sharks were average at best; offensively, Joe Pavelski and Brent Burns were bright spots to the season, but the Sharks never came together as a unit; if the Sharks do decide to part ways with Joe Thornton or Patrick Marleau, though, it would be the end of an era, and another team would be lucky to have them, as they can both still put up points. St. Louis Blues – A-. The natural progression for a team that narrowly missed on the Central Division crown last season was to win it this year. The expectation was there, and the goal was met but almost missed. Vladimir Tarasenko had an unbelievable season, putting up 73 points – when it mattered most, scoring 6 game-winning goals. When their starting goaltender Brian Elliott went down with an injury, they retained the services of a legendary Martin Brodeur, allowing him to retire as a St. Louis Blue, despite Brodeur showing his age. In spite of all of their struggles in net, the Blues constantly found a way to win, and this resilience may allow them to progress further than the second round of the playoffs for the first time since 2001-02. Tampa Bay Lightning – A. Their arena might have a new name, but it was business as usual for the Tampa Bay Lightning; though Stamkos’ point production dropped slightly from his last full season (2011-12), sophomore Tyler Johnson did not disappoint, by keeping up with Stamkos and matching him for points. With production like that, and Stamkos up for a new contract following next season, the Tampa Bay Lightning are going to be scary next year. There is room for improvement in the goaltending department, as Ben Bishop’s numbers were just below elite level. The Lightning have shown that they are a team that can score in bunches; as they should when Steven Stamkos and Nikita Kucherov are on their game as well as having a well-rounded secondary scoring unit. A favorable first-round match-up against a slowing Detroit might set the Lightning up for a long playoff run. Toronto Maple Leafs – Incomplete. I would love to give the Toronto Maple Leafs a grade (quite possibly even a failing grade), but truthfully, it’s hard to say that they even played half of the season. The Leafs went missing approximately halfway through December, and though there were signs of life in that locker room, they were few and far between. Since the start of 2015, the Leafs went an abysmal 9-30-5, winning a grand total of one game on the road and getting a point in three other occasions. That’s not to say that they fared much better at home, but at least they won 8 games. In terms of positives, Sunday’s fire sale ensures that there is more or less a clean slate for the Leafs come draft time. When weighed against the expectation to at least make the playoffs, this team failed miserably, and that is putting it politely. Vancouver Canucks – B+. The season immediately following the failed coach swap experiment with the New York Rangers has brought playoffs back to a team that shouldn’t have missed them last year. Under a newly-minted GM, and the head office leadership of Trevor Linden, the Canucks organization realized that their team is an offensive dynamo, and not the defence-first team that John Tortorella tried to install. With a completely revamped front office, the Vancouver Canucks looked fresh again, and wedged themselves into a playoff spot. As expected, the Sedin twins led the team in points, with Daniel putting up 76 to Henrik’s 73. Ryan Miller played well, and Eddie Lack filled in nicely when Miller was injured, even posting a greater save percentage. Though they are an offensive dynamo, the Canucks need to play a little more defence to get further in the playoffs; Miller can still steal games, but not every game. Washington Capitals – A-. After some turmoil in the coaching department, it looks like the Washington Capitals have found some stability in Barry Trotz, fresh out of a lengthy gig in Nashville. New GM Brian MacLellan lured Brooks Orpik and Matt Niskanen away from the Pittsburgh Penguins, Alex Ovechkin was incredibly consistent, and the Washington Capitals find themselves back in the playoffs after last year’s absence. Ovechkin marginally improved on last season’s stats; that is not a hit on the Great 8, who scored a Richard Trophy-winning 52 goals (up from last year’s 51) and kept last season’s 28 assists. Most impressive of all, though, is Barry Trotz’s ability to finally get Nicklas Backstrom to consistently produce; with all of those key elements in place, the Capitals can make some serious noise in the playoffs. Winnipeg Jets – B+. Playoff hockey is returning to Winnipeg for the first time since 1996. Granted, the 19-year playoff absence is attributed in part to the absence of a hockey team in Winnipeg altogether for 15 years, but the Jets are flying again. Despite some mid-season struggles that saw him lose his starting job, goalie Ondrej Pavelec is channeling Nikolai Khabibulin and stopping a staggering amount of pucks. Andrew Ladd and Blake Wheeler each passed the 60-point mark, and the mid-season acquisition of Tyler Myers has paid off. I give bonus marks to GM Kevin Cheveldayoff for handling the Evander Kane situation fairly quickly, before the Jets’ season was derailed.